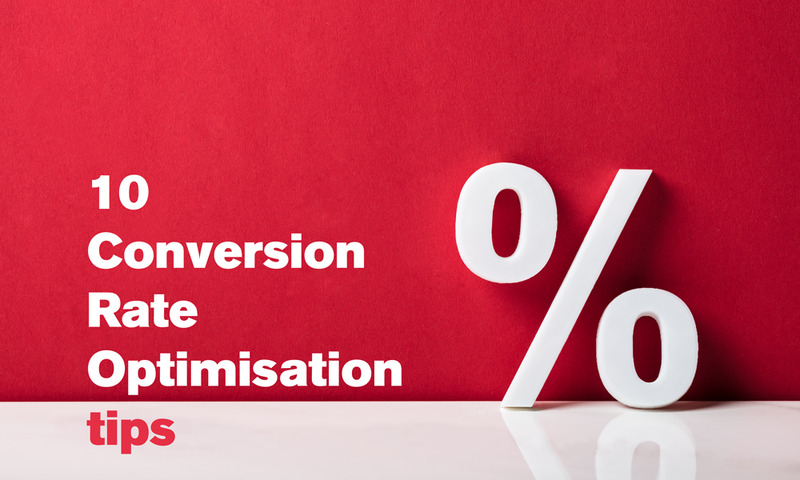 Conversion Rate Optimisation (CRO) or Conversion Optimisation is a means to increase the number of visitors to complete the main aims of your website. This can include; specific page views, form completions, get in touch (via phone, email, social etc) or product sales conversions. Read on to view our top tips for increasing your conversion rate. 1. Have a clear Call To Action (CTA) above the fold. Being above the fold means content is visible before users need to scroll further down the page. Your main CTA should be visible as soon as a visitor reaches your page, to make it as easy as possible for your visitor to complete the aim. iii.Including a form which takes up a small amount of space (less than 3 fields). If you have a longer form which has more fields or takes up more space than available above the fold, then have a button or menu that takes the user to a page or section of the website that includes this form. Remember that your main CTA, whether it is a button, menu or form, it needs to be the most prominent element of the site to encourage the most goal completions as possible. 2. Tailor your copy towards your audience with the correct tone of voice. Determining who your audience are can either be derived from statistical data from a tracking tool e.g. Google Analytics, or this can be based on your business model and target audience. Ensure your messaging will resonate with your target audience. Your business' tone of voice represents your brands personality which will impact with how your customers/clients feel about you. So, ensure it is a good fit with your target audience. If relevant, add light humor to your copy to keep users engaged. 3. Reduce the number of buttons and options. This follows the Hick’s Law, where it explains the more options given, the longer it takes to make a decision. Therefore, having too many unnecessary options can be confusing and distract the visitor away from your main CTAs. Ensure the buttons you do have give clear and concise directives with specific CTAs. For example, instead of a “submit” button for a contact form, use something like “contact us now” or “get in touch”. 4. Avoid using stock images. Make your site look more genuine with high quality, personalized photos which are fit for purpose. Visitors prefer to work with more personal and realistic feeling businesses, so using bespoke images in your website can help portray this. Using bespoke images with your product and/or of your team shows you are a genuine business and not a spam site. 5. Use one contrasting colour for important CTAs. Using a contrasting colour makes the main CTAs stand out and differentiates it between less important options. Using one colour for important information keeps the site consistent, as using too many colours can be distracting. Choosing colours and layouts that work together can be challenging, but be creative and design something unique. Alternatively, read more about our design services, we are happy to help! 6. Use ordered lists, bullet points and small paragraphs to format text, instead of long passages of copy. This is especially important on the homepage of your website, as this is used as an initial introduction. If there are topics you need to explain in more depth, this can be linked from the homepage to a separate page (which is also great for your on page SEO and site navigation - read more about search marketing). Lists, bullet points and small paragraphs are easier to read and for visitors to digest. A lot of people tend to skim read, so this format will be beneficial for your visitors to obtain information. 7. If you sell a product or provide a service, make sure this is immediately obvious, and above the fold. Product(s) based websites: include a shop menu in the header and link to your most popular product pages on your homepage. Services based websites: include a services menu and make it as easy as possible for people to contact you with easily accessible contact information, or include a menu or link to a contact page. Videos are great for both product and service based sites as it’s the closest representation of the real thing and it has shown to improve sales. Find out more about our video services if you don’t have one for your site. 8. Make your about page interesting and stand out. Your website’s about page is likely one of your most viewed page after the homepage, especially when your business provides a service. Your visitors will want to know more about your business and team before contacting you so make sure this is easily available. This is great place to portray your business’ tone of voice and interact with your protentional customers. 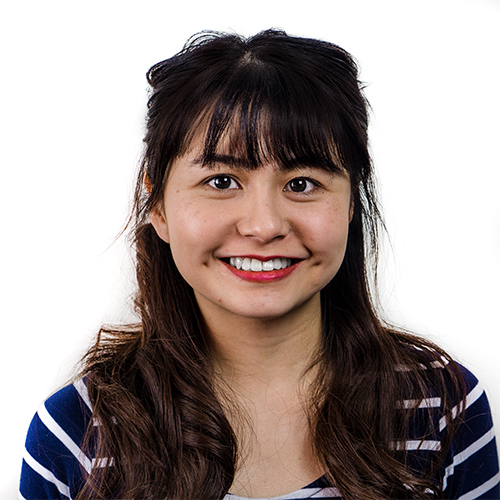 This is also a great place to include team photos, which is another way to connect and show personality. 9. Reduce the amount of fields in a form. The simpler and quicker the form can be competed the more likely users will fill it out. Even if your form is for a competition and the winner will receive a reward in the post, visitors are discouraged to enter additional information at this stage. If they win, you can request this information at a later stage. Email is usually the best form of communication for people to be contacted as people typically get discouraged by being asked to enter their phone number and address. Normally the better the reward the more likely visitors will give more information, so don’t feel you can’t include these fields if necessary. Remember that under the GDPR regulations, you should never request more information than is absolutely necessary. Always ensure your forms comply with GDPR. 10. Offer your visitors free samples, rewards or discounts. Offering your visitor an extra incentive to entice them to complete your main aim is a great way to increase interest. Rewards don’t necessarily need to be something of cash value, it can be an in-house written guide or article. If you need support with any website development needs, including overall site design and setup, user experience, site navigation, search engine optimisation or conversion rate optimisation, please don’t hesitate to get in touch!